WiCell: Headquartered in Madison, Wisconsin, WiCell is a nonprofit organization established in 1999 to advance the science of stem cells. A global leader in cell banking, cytogenetic testing and distribution of stem cell lines, WiCell builds on these core strengths by also providing clinical grade pluripotent stem cell lines, quality control testing and cell banking services. In 1998, University of Wisconsin researcher Dr. James Thomson succeeded in isolating and culturing human embryonic stem cells for the first time. Recognizing the potential of these unique cells, and aware that regulations surrounding their use in a university setting were unclear, the Wisconsin Alumni Research Foundation established WiCell in 1999 as a safe haven for the advancement of stem cell research in the politically charged environment of the time. As a nonprofit research institute, WiCell has consistently worked to advance stem cell technology through research, education and technical support for the scientific community. WiCell established the first comprehensive training program for human embryonic stem (hES) cells that provided instruction to more than 800 scientists from around the globe during its tenure. From 2005 through 2010, WiCell hosted the National Stem Cell Bank, which collected, banked, characterized and distributed the 21 hES cell lines approved for federal funding in the U.S. by then President George W. Bush. WiCell received the highest rating possible from the NIH at the completion of the NIH National Stem Cell Bank contract. As advancements in technology led to the derivation of human induced pluripotent stem (iPS) cells, WiCell expanded its cell line offerings to include both iPS and modified cell lines, forming the WiCell Stem Cell Bank. Today, WiCell's Stem Cell Bank is home to a growing number of cell lines offered across a variety of culture platforms. The collection contains cell lines submitted from researchers around the globe and includes the original National Stem Cell Bank lines as well as many modified cell lines useful as research tools. WiCell now offers services developed in conjunction with the Stem Cell Bank to both academic and commercial groups. Established in 2005, WiCell’s cytogenetics laboratory provides genetic testing including karyotyping by G-band, fluorescence in situ hybridization (FISH), a rapid FISH test (fast FISH), microarray analysis, spectral karyotyping (SKY) and short tandem repeat (STR) analysis. Product screening and quality control testing using human pluripotent stem cells also are available through our core laboratory. Additionally, our highly experienced banking and distribution team offers contract cell banking services to outside organizations. All offerings are made available on a fee-for-service basis. Tenneille Ludwig currently serves as the Director of the WiCell Stem Cell Bank overseeing the banking, distribution, and core services operations at WiCell. 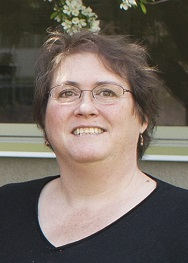 Dr. Ludwig obtained her Bachelor's and Master’s degrees from Washington State University prior to completing a Ph.D. in embryology and developmental biology with a minor in bioethics from UW–Madison in 2001. Her subsequent work in the laboratory of Dr. James Thomson (2001-2007) focused primarily on the optimization of cell culture conditions and resulted in the development of the first defined, feeder-independent culture system for human embryonic stem cells (TeSR/mTeSR). From 2005 to 2010 Dr. Ludwig served as the director of distribution for the U.S. National Stem Cell Bank operated at WiCell. Dr. Ludwig is a member of the Stem Cell and Regenerative Medicine Center at the University of Wisconsin, serves on the steering committee for the International Stem Cell Banking Forum (ISCBF), and operates one of the Core Laboratories for the International Stem Cell Initiative (ISCI). Additionally, she has served as a Scientific Advisor to multiple boards, including the International Stem Cell Forum Ethics Working Party, collegiate training programs, and national and international registries.